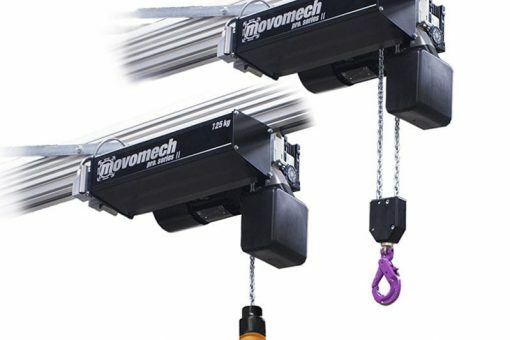 How to choose a winch? How should your winch be powered? Why choose a manual winch? How to calculate the dimensions of the winch you need? A winch is a device designed to pull or lift loads by means of a cable that is wound around a horizontal cylinder called a “drum”, or a chain that rotates around a drive “nut.” Winches can be manual, electric, pneumatic, hydraulic or have a combustion engine. Winches are lifting and traction equipment found in industrial sectors such as metalworking and construction for lifting and moving heavy loads, in the maritime industry for lifting boats, in the automotive sector for towing vehicles on trailers, etc. Winches designed for lifting a load vertically must comply with stricter standards than winches designed for towing operations (pulling a load horizontally). What will the winch be used for: will it need to lift a load, move it horizontally or on an inclined plane? What sector will it be used in? Winches can be used in different industries, such as the maritime and automotive industries. What should the capacity of your winch be, i.e. what load should it be able to lift or pull? What does the load travel distance need to be? You must ensure that the drum on which the traction device will be wound is properly sized and that the length of the cable or chain is sufficient. You must also take into account other criteria such as the type of motor. Winches can be electric, hydraulic, combustion or manual. Generally they are designed to wind a cable, rope or chain coiling over the entire width of the drum in successive layers. 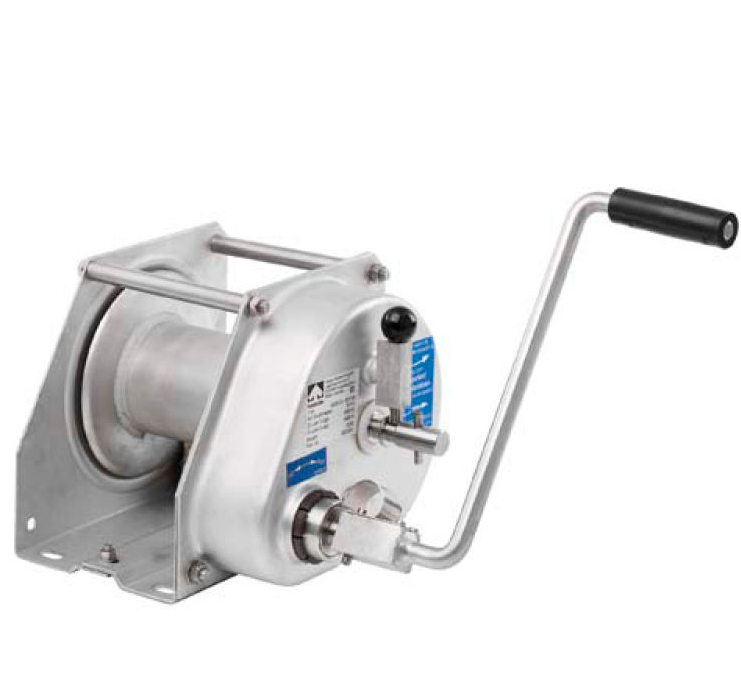 Most winches are equipped with a motor, but some are manual, especially when they are intended for occasional use or use in an environment that is difficult to connect to the electricity network. There are four main ways of powering a winch: electric motors, combustion engines, hydraulic drive and manual drive. Electric winches can be divided into two categories : connected motors and battery powered motors, for example connected to a car or truck. Electric winches are intended for intermittent use because they become extremely hot. We recommend that you use a winch equipped with a thermal fuse to avoid damaging it if the load is too heavy or if it is used too intensively. Also, choose a winch with a higher capacity than you need to avoid overheating. If you choose a winch that runs on battery power, make sure that the battery you use is sufficient to power it. With a 12-volt power supply, a winch can have a peak consumption of more than 400 amps. Winches powered by combustion engines are heavier and more expensive than electric winches. They generally have a duty ratio of 100% however, so they can be used continuously. Hydraulic winches are connected to a hydraulic circuit that drives the drum. Their duty ratio is also 100% and they generally have very high load capacities. 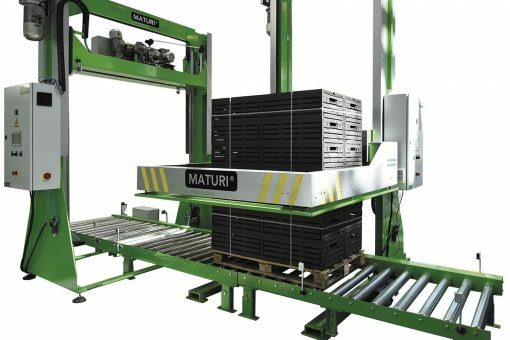 The hydraulic system must be well adapted to this use however: a hydraulic winch can require a pressure of up to 160 bar and a flow rate of up to 60 liters per minute (l/min). These winches are used on ships or offshore platforms, for example. Manual winches are used for lighter loads. They are easy to set up because they do not require connection to a power source. Manual winches must be operated by one or more persons depending on the desired traction speed. A manual winch can have a crank (to operate it, a continuous rotational movement is required) or a lever (in this case you have to pump it). 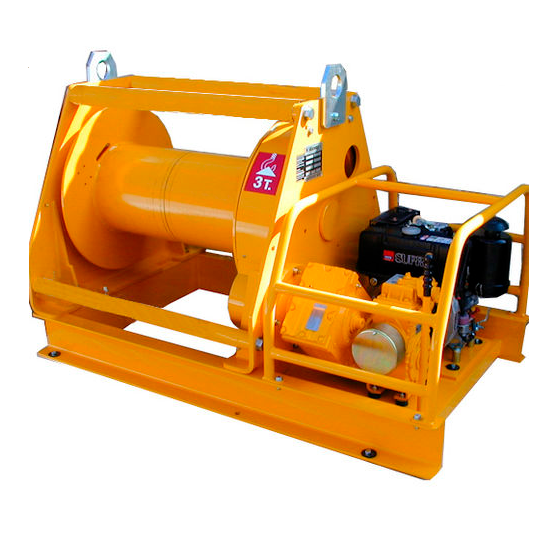 These winches are generally designed to be manually operated by winding the traction or lifting device. They are equipped with a disengaging system so that the traction device unwinds under the weight of the load. They are mainly used for lifting moderate loads. Generally manual winches have a lifting capacity limited to 2 tonnes for the largest ones. These winches are mainly used when there is no available power source nearby and it is not possible to use an autonomous winch equipped with an internal combustion engine. In order to calculate the dimensions of your winch you’ll have to know the load or maximum capacity it can pull, this load must be higher than the maximum weight you will need to lift or tow, in order to avoid any accidents. In general, it is necessary to provide a traction capacity twice as much as the load to be towed. You must at least take into account a safety margin of 50%. The winch capacity is generally indicated in pounds (lbs) or kilograms (kg). 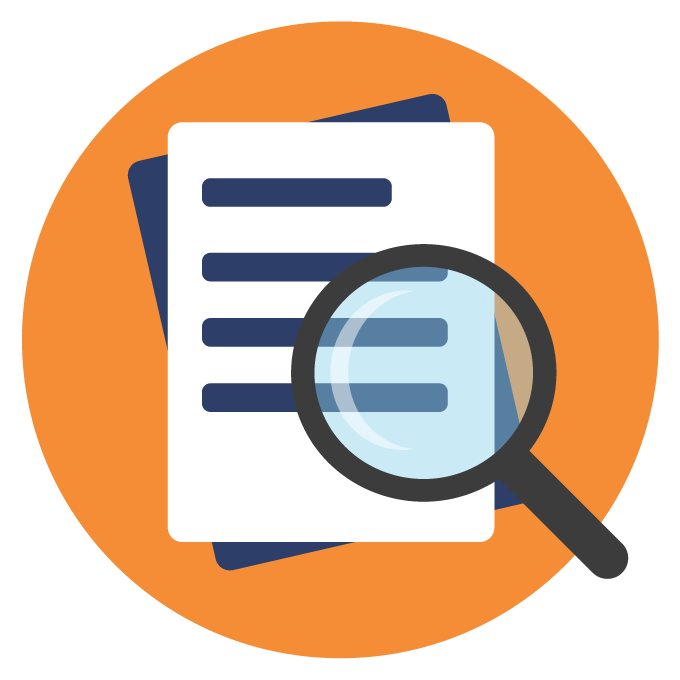 You can quickly convert the maximum load: one pound is equal to 0.45 kg. You must also take into account that, depending on the length to be towed, the traction device will wind on the drum in successive layers and the manufacturer indicates the winch capacity for the first winding layer. As the rope or chain is wound up, the winding diameter increases as does the speed of the winch. 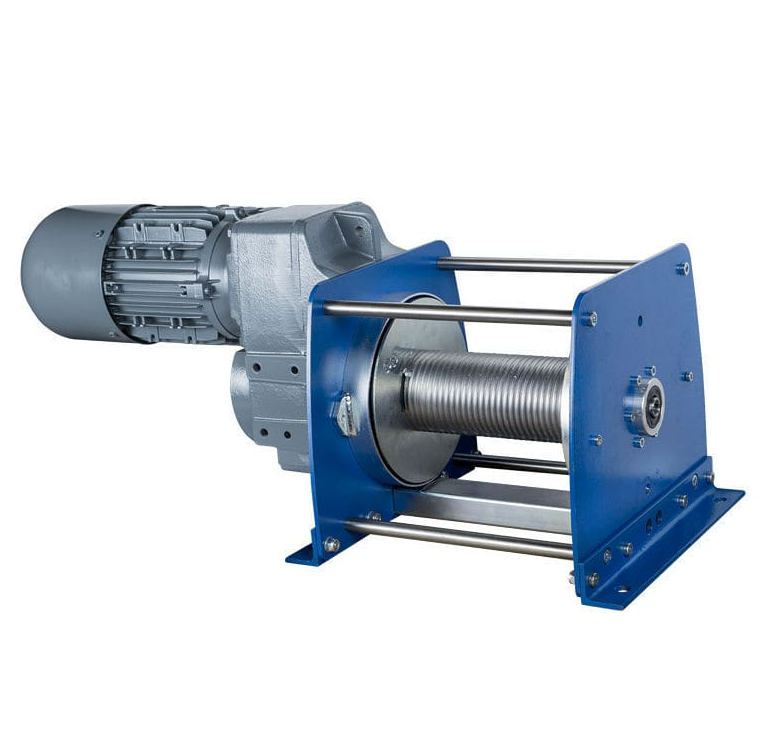 At the same time, the winch’s pulling capacity decreases due to the increase in torque connected to the increase in winding diameter. You can estimate a decrease in the winch’s pulling capacity of 13% per layer already wound. If the winch you are looking for must be able to lift a set load, make sure that the load indicated by the manufacturer is not just a towing load (able to pull but not lift). The winch speed and drum diameter must be adapted to its use: these two values determine the winch’s traction speed. You must differentiate between the speed of the idle winch rotation and the pulling (or towing) speed under full load. Generally a winch has a pulling speed of about 1.5 meters per minute. The faster you want your winch to work, the higher the power consumption will be.